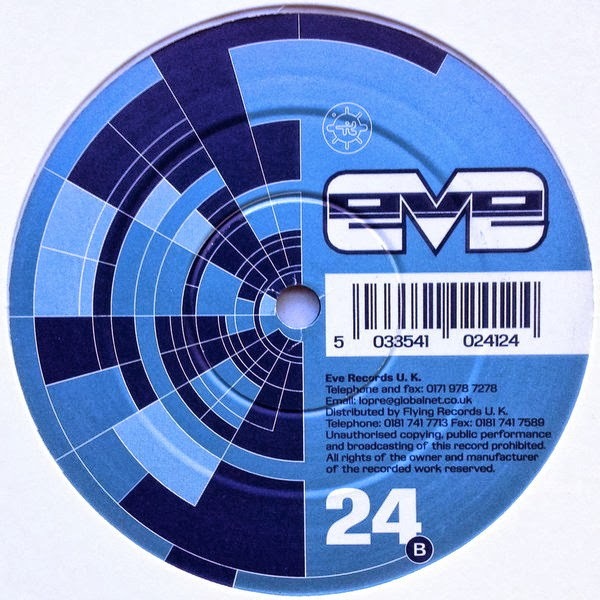 And This Is What You Get When You Least Expect It: Pablo Gargano - Eve Records 024 12"
Pablo Gargano - Eve Records 024 12"
This is the 1998 Eve Records release for the tech-trance cuts by Italian super producer Pablo Gargano. This release is also known as the "Chemistry of Soul" EP. With the lead-off cut being the namesake, you get an Orbital inspired work that many thought was an actual release by the brothers Hartnoll (until some trainspotters put that idea to rest). The other two pieces are unique and groovy in their own way, with the last cut "Essential Listening For All" being the stronger of the two. This EP is an excellent snapshot of the sound that was coming from the "trance" scene in the late 90's and a good indication of the quality of music that was to come in the new millennium. All three songs are here for your listening pleasure.